Cherrapeno: Another Slice of Cake! oh this would be death by chocolate :) I love the photos look great! This cake looks yummy!!! my chocolate cakes also always come out with cracks, I don't know why, but they taste ok and anyway I always cover the cake with chocolate butter icing. oops!!! my mistake, the custard creams are on another blog - sorry!! Mmmm...I would love a piece of chocolate cake right now! Yours looks gorgeous with the sugar dusting on top. looks lovely... i could jump right in! i have always wanted to go to the grand canyon, now here's a version that's even more tempting!! 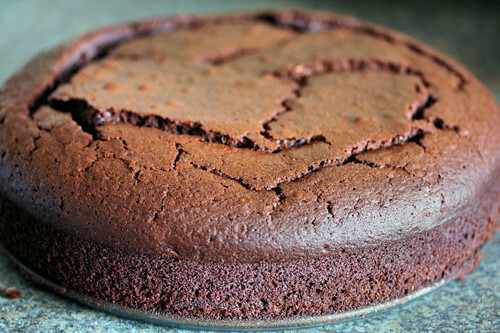 This looks like a very chocolatey chocolate cake! It would please any chocolate cake lover. OK one thing less to do in life Nic - the Grand Canyon! This works for me & HOW!! I am pretty 'butter' faint hearted, but something as divine looking as this makes me change my mind, & heart! Love it Nic...bet the men loved it too!! One doesn't even have to be craving chocolate to drool over this beauty, Nic! Love the crackled top and intense color... So delicious! BTW, as I was looking at your blog, I tried to figure out how you did that menu feature "Can I Tempt You". Is it available in blogspot template? or an outsider template? It looks really cool to have many recipes upfront.. I am actually craving some chocolate right now, and your yummy cake is making the craving worse! This looks fantastic! I think the cracking on top is a good sign of the moisture and yummyness that lays beneath! I'm craving chocolate now, this looks heavenly! Never can get enough of chocolate cake ! Looks delicious ! MMMMMMMM...the choclate cake looks fabulous!!! I nearly wept when I saw that last picture. Oh, I am craving chocolate cake now! 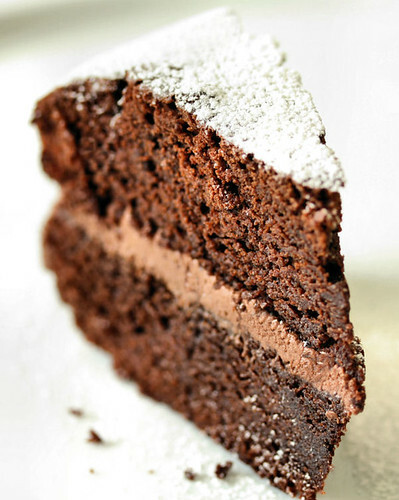 Thanks for the link Nicisme, it's good to meet you over a virtual slice of chocolate cake! I don't mind having chocolate cake everyday! Chocolate cake - you can never have enough of chocolate ;0) Lovely choccy cake Nic and great pics. Dorothy - you've got me wanting custard creams now! Bake in Paris - your blog is looking good! Big Boys Oven - hello and welcome! Hi Laura - thanks so much for visiting and for the great recipe! My goodness this came out beautifully! It's the perfect chocolate cake! Holy moly that looks too good to eat! Delicious! This is MY kind of dessert! Thanks! 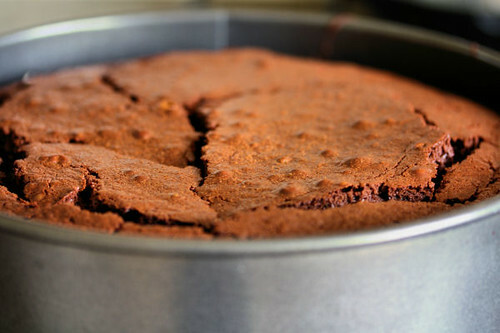 That chocolate cake is looking really good!